The holidays are coming to a close and 2015 is just around the corner. This year Albuquerque will be buzzing with great events to ring in the New Year! 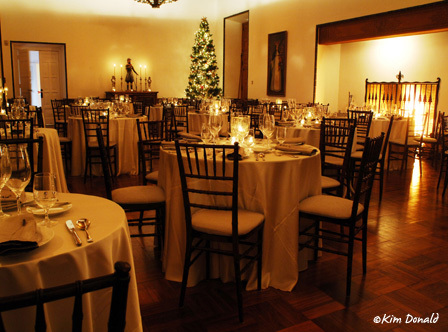 If you&apos;re looking for a quiet, classy New Years celebration, head out to Los Poblanos Historic Inn & Organic Farm. Their New Year&apos;s Eve Affair is sure to please. Enjoy an elegant 4-course menu next to a cracking fire. Be sure to arrive early and enjoy artisan holiday cocktails prior to dinner. Dance off those holiday pounds at the The Stage at Santa Ana Star Casino&apos;s Rouge New Year&apos;s Eve Ball. Inspired by the artistic allure of Paris in the late 19th century, this over-the-top event commingles the risqué world of burlesque with New Mexico&apos;s premiere nightclub. Enjoy music from DJ Automatic who will spin the best in dance music all night long and sip specialty-themed cocktails and VIP amenities. Can&apos;t forget the kiddos! Hotel Cascada&apos;s New Year&apos;s Countdown Splash Party is sure to entertain both parents and kids. Slip into your swim suits and swim, splash and dance at New Mexico&apos;s only indoor waterpark. There will be a champagne and sparkling cider toast at midnight, games, prizes and giveaways. This party is going to be so big they needed two museums! The New Year&apos;s Eve Museum Masquerade will feature live music, a laser show, food trucks and more. Explore the museum galleries of both Explora and The New Mexico Museum of Natural History & Science and don&apos;t forget your mask! This year Manhattan is coming to the mesa thanks to the Albuquerque International Balloon Museum. Enjoy a Sardi&apos;s style dinner, watch the ball drop at Times Square, toast the New Year with a signature Sandia Manhattan and then take in a special balloon glow. These are just a few of Albuquerque&apos;s New Year&apos;s events. Be sure to check out ABQ365&apos;s New Year&apos;s Eve Celebrations page for more ideas!